This is a LEGO compatible locomotive driver the same size as Ben Fleskes' Medium driver. 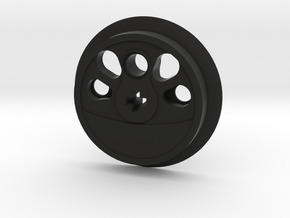 Thanks for your interest in my train wheels! They are intended to fit and function as LEGO elements but, because I do not have control over the production process, I cannot make any guarantee regarding the fit and finish of any individual piece. 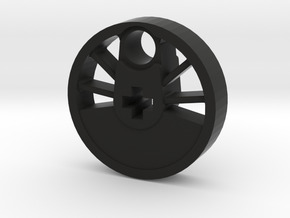 I have made every effort in the design stage to make the axle and pin holes sized correctly, but variations in the 3d printed result will occur. As a result, you may receive a part that will not fit well on an axle or pin. Also, the black parts are dyed, and the dye does not always take perfectly, especially if there is any residue of the printing process left behind. Again, I do not control any aspect of production, and cannot know the condition of the specific part you will receive. Also, in case you are not familiar with printed parts, note that they have a somewhat rough surface, not smooth like injection molded parts. The polished options are somewhat smoother. The colors may not match LEGO colors very losely either, but the part do take paint well. 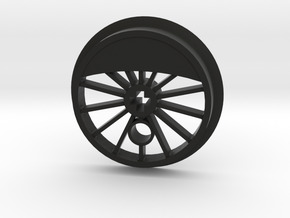 That being said, I have had a decent success rate with test models fitting and functioning and, as I have had several requests for these wheels, I am offering them here. I do hope they will work for you but, again, I cannot guarantee that. 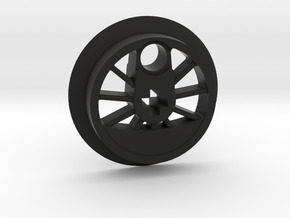 You are welcome to let me know if these wheels worked for you, or if you have requests for future models. 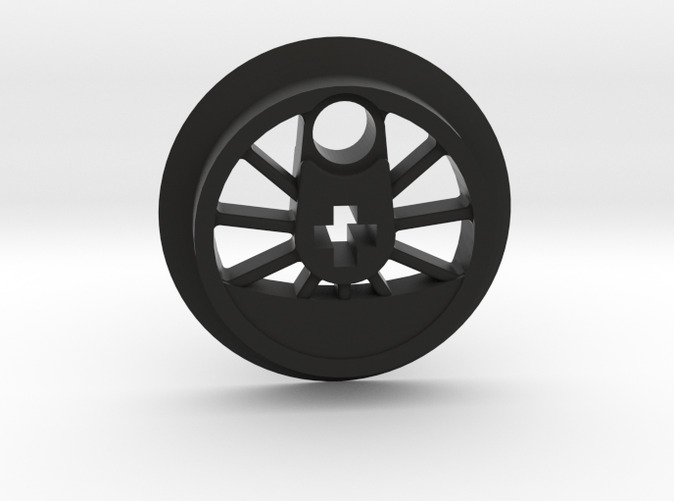 I only work on these wheels occasionally in my spare time, so I make no promises that I will actually get around to making people's requests, but I will update requesters if I do. Thanks!